The iCloud Status column lists text describing the status of your songs. If there’s an icon in the Download column for a particular song, the text matches the meaning of the icon. However (as covered more in a Macworld article) this column also tells you the status of songs that have no Download icon. In particular, it lists whether each song is Purchased (you acquired the song from the iTunes Store), Matched (you acquired the song on your own but a matched version of the song, generally at a higher quality, is in iCloud), or Uploaded (you acquired the song on your own and no match was found; as a result, your copy of the song was uploaded to iCloud). The major value of these columns is as a diagnostic aid. They give an indication of why a song is not available in iCloud, helping you figure out what you may be able to do to fix it. 2. Select Update iTunes Match from iTunes’ Store menu. This is Apple’s go-to all-purpose troubleshooting fix. If anything is not working with iTunes Match, this should be the first thing you try. In my case, after initially subscribing to iTunes Match, I had several dozen songs listed as Error. After selecting the Update command, the songs were successfully matched. Actually, I had to select the command three or four times before everything possible was matched; I still have two songs that are stuck with an Error status. Alternatively, if you want to attempt to fix a problem with just one song at a time, access the contextual menu for a problem song and select the Add to iCloud command. If you have songs that are protected via DRM (digital rights management), make sure your computer is authorized for playback from the account that purchased the music. If you purchased all your music yourself, this should not be an issue. If not, any unauthorized protected songs will not upload or match to iCloud. To address this, authorize the computer via the Store -> Authorize this Computer command; then select Update iTunes Match. 3. Select Turn Off iTunes Match from iTunes’ Store menu. Then select to Turn On iTunes Match. Don’t worry, doing this will not wipe out your prior matching. When you re-enable iTunes Match, what may have taken hours to do when you first subscribed should now only take a minute or two to restore. I had to use this technique to fix a failure to download songs from iCloud to my Mac. As covered in a Macworld article by Jason Snell, you can delete songs that iTunes lists as Matched and select to download a presumably higher-quality version from iCloud. To get the improved version, you click the Download icon in the iCloud Download column. While this technique has generally worked for me, I had one instance where clicking Download icons led to 5099 error messages. The message suggested that I check to see if I had an active network connection (I did). Quitting and relaunching iTunes did not help. Neither did selecting Update iTunes Match. However, turning iTunes Match off and back on again did the trick. One interesting side note: Even when I could not get the songs to download, I could still play them. iTunes streamed the songs from iCloud, just as it would from an iOS device that was using iTunes Match. You may run into trouble that cannot be fixed by any of the above techniques. Unfortunately, there is not much you can do at this point. 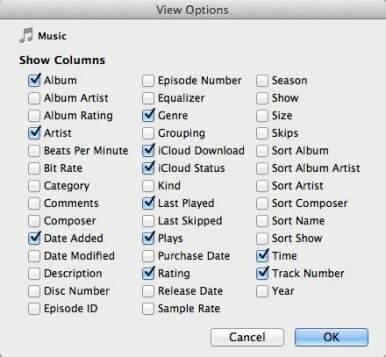 Currently, Apple provides no additional tools for managing iTunes Match. For example, I have had several instances where all but one or two songs in an album are listed as Matched. The remaining song(s) are listed as Uploaded. This means I cannot access the higher quality versions of the Uploaded songs. I know the songs should match because the entire album is available from the iTunes Store. What can I do to force iTunes to match rather than upload these songs? As far as I can tell, there is nothing I can do—other than wait. A Macworld article confirms that others are seeing this same glitch. The consensus is that a server error is at fault. That is, it’s a problem in the cloud, not on your Mac; all you can do is hope that Apple will eventually address it. Similarly, a friend of mine had a problem where, after subscribing to iCloud, most of his songs remained stuck in the “Waiting” status. None of the above-described fixes had any effect. He found several forums threads describing the same symptom—with no solution. In this case, after over a day of frustration, the problem fixed itself. Follow-up postings online indicated the remedy was happening at about the same time to all who were affected. Again, the implication is that this was a server error that Apple had resolved. 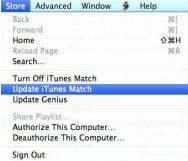 For other questions you may have about problems with iTunes Match, I recommend Apple’s Troubleshooting iTunes Match and Macworld’s iTunes Match: What you need to know.